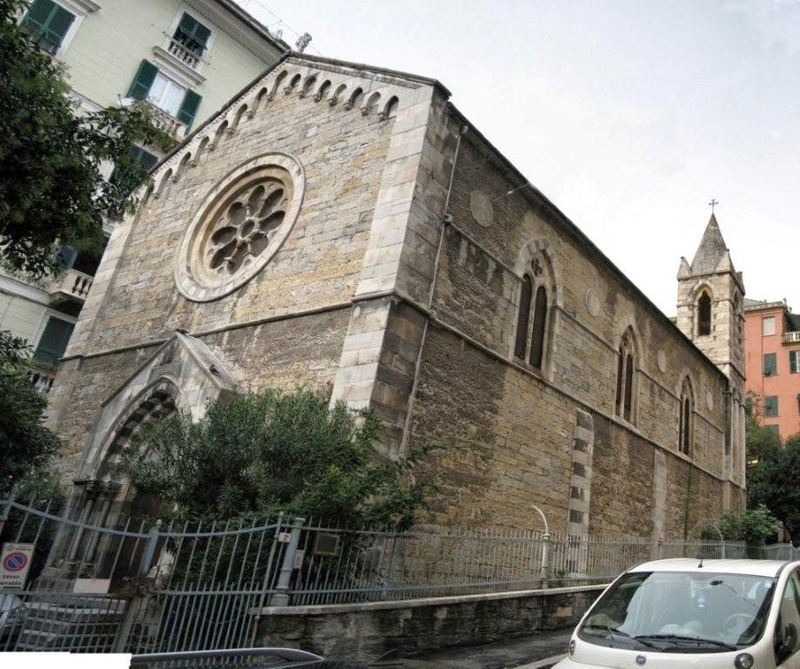 Although there has been an English speaking, Anglican church in Genoa since at least 1818, the current church was built in 1873 by G.E. Street. 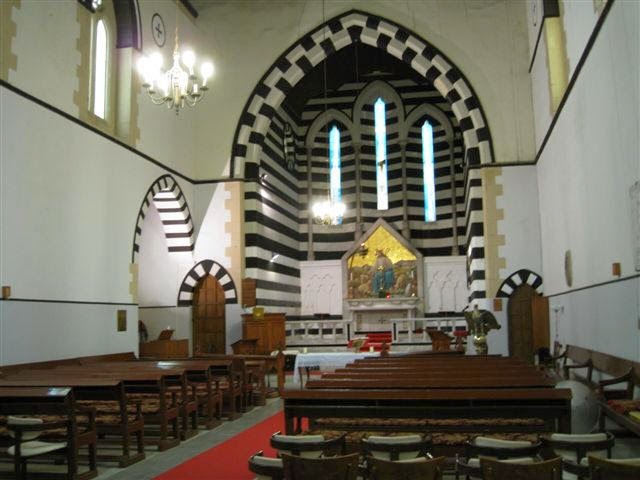 The black and white stripes of the interior stone work reflect a Romanesque style. Salviati made a mosaic altarpiece and four Evangelists for the church. 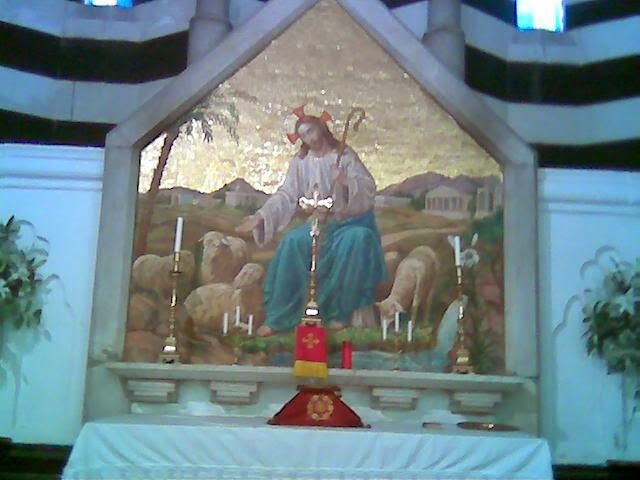 While the church was partially damaged during World War II, the central reredos of The Good Shepherd has been restored. The flanking arcades that most likely contained the other mosaics, however, stand empty. Barr, Sheldon. Venetian Glass Mosaics: 1860-1917. London: Antique Collectors' Club, 2008. 127.